The Ram 1500 stands in a top few in a half-tone full-size truck league where Ford’s F-150 dominates for decades. It is also in race with Chevy Silverado and GMC Sierra and new Nissan Titan XD is a threat as well. The current generation of this model has been around since 2009 but that doesn’t mean that this truck hasn’t been upgraded in meantime. Actually, under the slightly changed skin it has got almost all new hardware including new frame, transmission, turbo diesel engine, suspensions, etc. The same is with renewed interior and upgraded technology features which have been inclement upgraded. Considering Ford’s redesign in 2015 and announced mid-cycle upgrade for the 2018 model year, the Ram has also been expected to enter in the new generation in upcoming years. According to some unofficial reports the 2018 Ram 1500 might be all-new model and changes should include upgraded powertrains, improved body structure, refreshed styling, updated interiors and tech. While nothing has been stated officially, the new 2018 Ram 1500 is expected to follow similar path in redesigning as it was the case with Ford’s redesign. The trend toward lighter body contraction and the usage of lightweight materials for different hardware components is also expected to be followed by the new Ram. More high strength steel will be injected in the chassis which will improve its rigidity and aluminum should find its way in some body panels. All this will lead to some weight savings and improved performance. On the other hand, the changes will also be seen in the exterior design and new model is expected to get more modernized look. The changes will include new headlights with modern lighting technology and new grille with Ram’s signature will sit in between. Changes in body sculpting will be seen on the hood and side panels and new wheel sets will be offered. Inside, the model will continue to increase functionality along with addition of fresh materials and upgraded technology features. The dash will experience some changes and rearrangements. There will be changed instrument cluster and center stack which will include upgraded infotainment screen and controls. There will also be comfortable front seats and improved system for rear seats which will allow them to be folded flat in floor in order to provide more manageable cargo space. The safety rig is also expected to be revised with addition of more advanced safety systems and upgraded current. The model will again be available in three body styles and wide range of trims and in that context the model should continue to use the same trim organization. In the engine segment, the new 2018 ram 1500 will be turned toward better fuel economy and it will offer more power and torque for better towing and hauling ratings. It’s not clear yet will this model introduce all-new engine options or it will go with the current lineup upgrading. However, it will certainly offer turbodiesel and petrol engine options which might be turbocharged as well. The drivetrain components should also be improved including transmission, suspension, steering system, brakes, etc. There will also be optional packages for further suspension configuring and additional off-road and towing equipment. There will be rear-wheel drive and option for all-wheel drive models. Considering the expected redesign, the new 2018 Ram 1500 will probably introduce some price increase across the range but there won’t be radical changes. 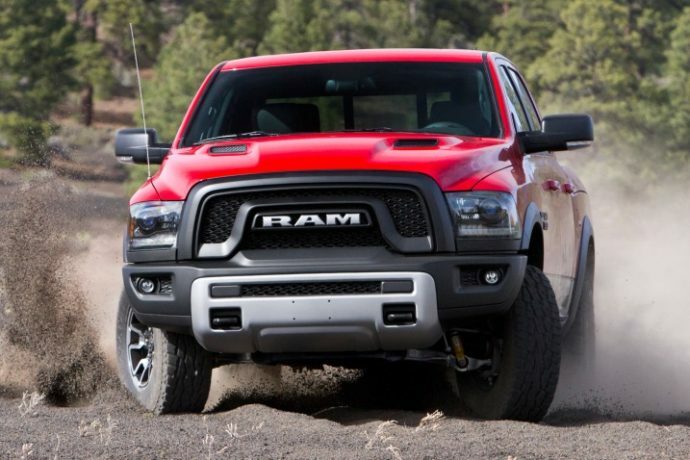 The Ram hasn’t announced when we might see the 2018 model but it will likely come in the second half of the 2017.